Reposted article published by The Root, contributor Charles D. Ellison. Houston state Rep. Shawn Thierry’s majority-black district houses nearly 200,000 residents, the Houston Texans football stadium, and a massive population of folks who were already low-income and living from paycheck-to-paycheck. They were all in the eye of the storm when Hurricane Harvey hit. But as millions upon millions of dollars roll in from a growing lineup of celebrities, athletes and a nation of sympathetic Americans eager to save #HoustonStrong, there’s no guarantee that much of that money will reach already economically battered Houstonians who need it most. ...they will prioritize black and brown folks dealing with the compounded devastation from generations of dire economic straits—and, now, climate-change-instigated “1,000-year” floods. Already, the push to focus on property rather than the dispossessed is becoming abundantly clear. During a press conference laying out recovery efforts, Federal Emergency Management Administration acting Director Brock Long was weirdly emphatic on the property part: “ .... and the most important thing, the mission of saving houses.” No one seemed to pick that up. Yet more than 40 percent of Houston residents actually rent. Since they won’t be getting a buyout, what happens to them? Still, the raw emotional reaction for most Americans is to get online and dump donations into the Red Cross. But historically, Red Cross money doesn’t always find its way to hurting black folks. That comes from experience: When Katrina hit, black residents watched Red Cross dollars flow more easily to white areas than harder-hit black ones. A ProPublica investigation exposed “understaffed”� and “mismanaged”� Red Cross shelters in majority-black Baton Rouge, La., after historic 2016 floods. Another ProPublica piece found that the Red Cross only built six homes in earthquake-ravaged Haiti after claiming that it provided 130,000 people with housing—yet, again, another place full of black folks receiving inadequate disaster response. Thierry took matters into her own hands, opening up her district office as a base of operations and setting up a GoFundMe page to raise needed funds for resources. Yet, Instagramming and tweeting black celebrities like Kevin Hart and former President Barack Obama earnestly egg the public into one big national telethon for the Red Cross. Crazy amounts of cash are heading straight to organizations that won’t be prioritizing anyone black or brown, least of all those who don’t own a home. It’s not as if the $250,000 Tyler Perry line-itemed to embattled megachurch hustler Joel Olsteen (out of a total $1 million donation) will be relayed to Thierry’s district or anywhere else underwater where residents never had the assets, bank accounts or credit cards to begin with. And even with Beyoncé’s heart-in-the-right-place move, BeyGoodHouston, as a relay center for Houston organizations Bread of Life and Houston Mayor Sylvester Turner’s Greater Houston Community Foundation, giving to those most in need is not as simple as one might think. Both organizations will be wary of showing favoritism to any one demographic; a Houston advocate hesitated in stating that GHCC was going to be a reliable source of funding for the area’s vulnerable. Worse yet, the broader national African-American community wants desperately to help brothers and sisters in need but is reluctant to put its dollars into big-box mainstream efforts. Many, like WURD Radio President and CEO Sara Lomax-Reese, have started public donation drives, but they want those dollars going to local community-based organizations instead. A large part of the problem, in the case of Houston, is that the local front-line community service organizations that do focus on underserved black and brown residents were also affected by Harvey. At last check, the Houston NAACP president was living out of a hotel with his family. The Houston Area Urban League president was out of pocket for a few days and finally surfaced—but, the entire HAUL staff has been displaced, making the offices empty for a time. The Houston Urban League typically dedicates itself to those exact needs for vulnerable residents. On Friday, HAUL got back online, and is now accepting donations for its Harvey relief efforts. And in the meantime, sister-affiliate the Greater Washington Urban League has sprung into action to fill gaps. 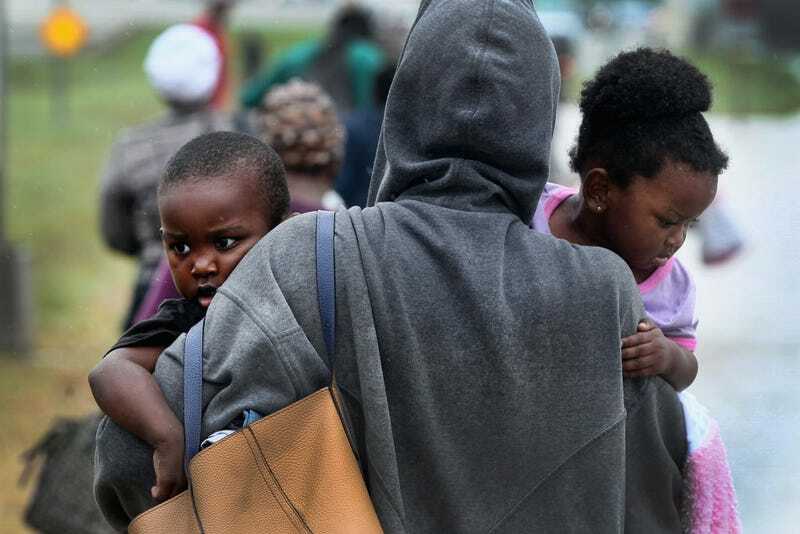 But, generally, it’s also the continued issue of either poor planning or an inability to quickly respond by national black organizations that fail to position themselves effectively when disasters happen. CHARLES D. ELLISON is Contributing Editor for TheRoot & ExecProd/Host of 'Reality Check' on WURD Radio (Philadelphia). + Washington Correspondent, The Philadelphia Tribune; Principal, B|E Strategy.